Pere Antoine's is located a block away from the Bourbon gay night scene. Nestled on the corner, the oversized windows are always open to catch a good breeze. Hell, it makes people watching easier. had their half and half platter. very, very good food. Good, Fast service and kept my glass full of pink lemon aide. On Royal St @ St. Ann. 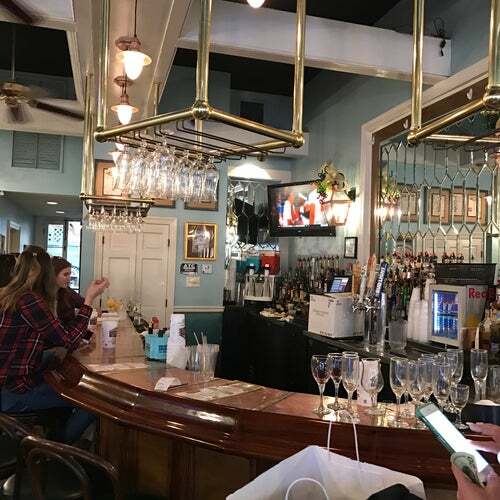 We always end up having our first meal at Pere Antoine's when visiting New Orleans, we know immediately we will get our first taste of the yummy food this city has to offer. I always get the sampler platter. Gumbo, Red Beans and Rice, Creole Shrimp, Jambalaya and Bread Pudding to top it off. It's so wonderful. I'm full just thinking about it. Give it a try. The staff was very friendly also.